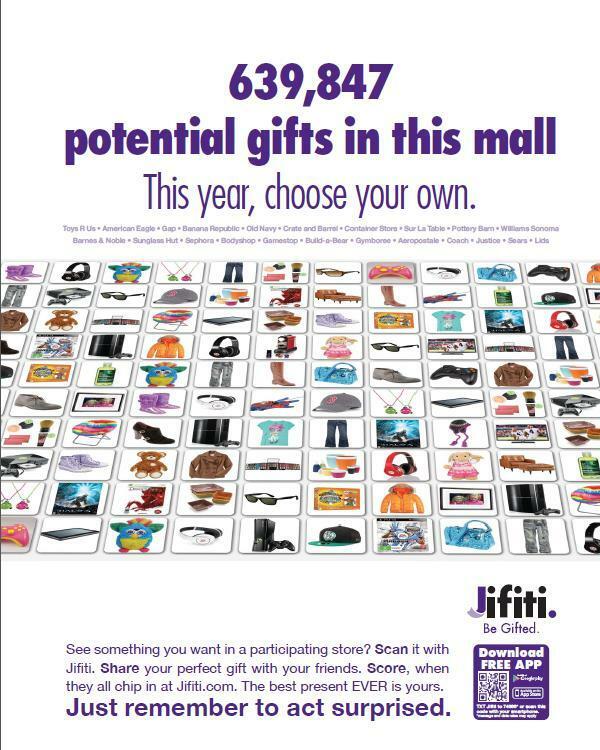 Jifiti is an app that takes the guesswork out of giving and receiving a gift. 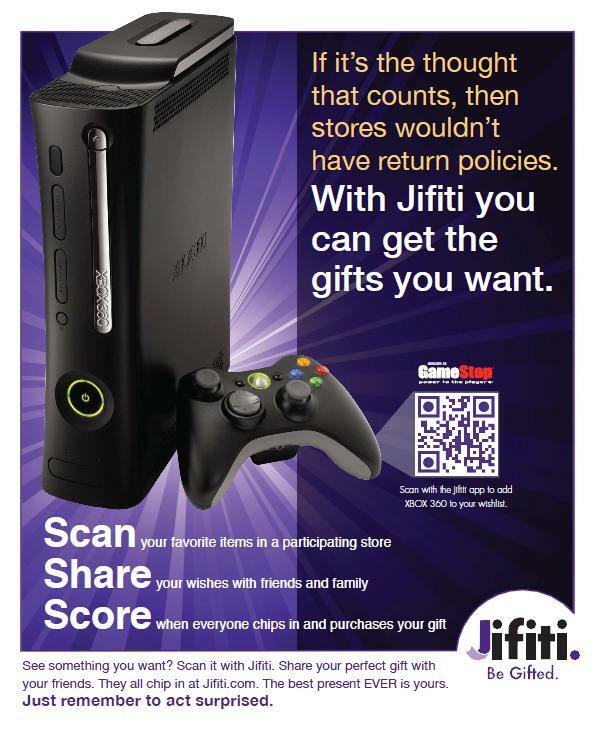 We created a full campaign for their US holiday launch. Included were posters, banner ads, floor clings, wall wraps, table tents, and brochures.